What started as a hashtag, is now a way of life! Founded by actor/producer/philanthropist Theo Rossi and his wife, Meghan, #GoGetItLIFE is motivated by YOU. The idea behind Go Get It LIFE is to provide the positive motivation you need to live your best life possible. We are an international community of like-minded people who are sharing stories of personal achievement, giving back to others and making the decision to GO GET IT! Find us on all major social media pages under @GoGetItLIFE. 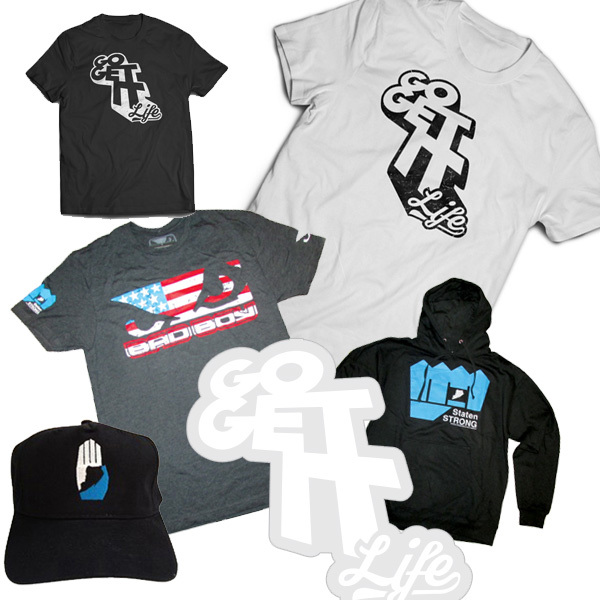 To further our dedication to serving others, we sell a line of signature Go Get It LIFE apparel at our online SHOP. A portion of proceeds are donated to a growing list of charity partners and programs. Theo Rossi is an actor, producer and philanthropist best known for his portrayal of Juan Carlos “Juice” Ortiz on the FX #1 hit series Sons of Anarchy. His production company, Dos Dudes Pictures, produced its first feature film in 2014, Bad Hurt, which Rossi also stars in alongside Karen Allen (Indiana Jones: Raiders of the Lost Ark) and Michael Harney (Orange is the New Black, True Detective). Rossi studied acting at the prestigious Lee Strasberg Theater Institute in New York. Throughout his acting career, Rossi has showcased his versatility starring in a multitude of hit television shows such as Law & Order: Special Victims Unit, Hawaii Five-O, Lost, Las Vegas, The Unit, Jericho, Bones, Without a Trace, Veronica Mars, NYPD Blue, CSI: Miami, Lie to Me and has recurred on Heist, American Dreams, Grey’s Anatomy and Terminator: The Sarah Connor Chronicles. His film credits include Bad Hurt, Cloverfield, Codebreakers, House of the Dead 2: Dead Aim, Red Sands, The Informers, Kill Theory, Fencewalker and Meth Head. Rossi formed the New York-based production company, Dos Dudes Pictures, which wrapped production on its first feature film, Bad Hurt, in 2014. Bad Hurt premiered at the Tribeca Film Festival in New York in early 2015 and has since made its way through the film festival circuit winning Best Narrative at the Sunscreen Film Festival. Bad Hurt is scheduled to release in theaters February 2016. When Rossi is not working, he spends his time giving back. He founded GoGetItLIFE.com in late 2014. The brand encourages a healthy, positive lifestyle through its active online blog community and social media engagement. Go Get It LIFE sells a line of signature apparel. Portion of the proceeds from merchandise is donated to charity. Rossi is also an ambassador for the Boot Campaign; an organization that is dedicated to cultivating awareness, promoting patriotism, and providing assistance to military, past and present, and their families. Theo has traveled to every major U.S. military base to visit troops and extend his support. He has also helped in organizing the yearly Boot Ride event benefiting the Boot Campaign, giving fans a chance to spend a day riding with the Sons of Anarchy cast while raising money for our military. In addition to supporting numerous charities throughout the country and in his home base of New York, in the wake of 2012’s Hurricane Sandy, Rossi founded StatenStrong, which united a team of community first responders to deliver emergency care and financial resources to Staten Island, NY residents. StatenStrong also rebuilt three homes destroyed by the storm. In 2014, Rossi was featured in a Humane Society campaign focusing on education and support programs for the more than 300 million street dogs worldwide. He continues to work with the Humane Society on numerous issues and causes. Rossi’s next projects include the untitled “Lowriders” pic from Universal and Blumhouse opposite Demian Bichir, the Screen Gems film, “When The Bough Breaks” opposite Morris Chestnut and Regina Hall and the Marvel series “Luke Cage” for Netflix. Since she was a little girl Meghan has had a calling to serve others. Whether it was bringing home stray animals or spending her high school summers traveling the country to volunteer for Habitat for Humanity or the Boys and Girls Club, giving back is at the core of what she finds most important. Meghan has sat on the board, and served as volunteer, of several nonprofit organizations including Junior Achievement, People Attempting to Help (PATH), ASSIST Autism Foundation, the Junior League of Tyler, and StatenStrong. She is a strong supporter of Alzheimer’s Care efforts, the Humane Society, Louie’s Legacy, and A Very Special Place (AVSP) to name a few. 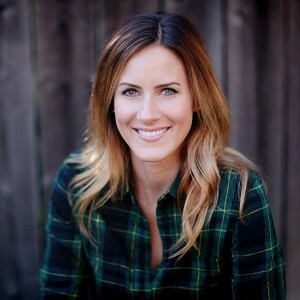 Meghan brings to Go Get It LIFE a love of story telling and connection from her years as an award winning Television News Anchor, Reporter, and Producer. Her journalism days date back to high school when she began as an intern at KPRC-TV. She continued interning at KPRC-TV while completing her Journalism degree at the University of Houston. Meghan later worked on-air at KTEN-TV and CBS 19. After a brief stint managing Platinum Advertising and serving as Contributing Writer/ Account Executive for BSCENE Magazine, Meghan ventured into one of her proudest professional achievements to date. In 2010 Meghan became an integral part of the launch team for the Boot Campaign. Five years of lacing up her boots and working with veterans and their families throughout the United States were some of Meghan’s most inspiring and teachable years. Today, the Boot Campaign is one of the nation’s premier 501c3 organizations to honor and support military veterans and their families. A native Texan, Meghan now lives in New York with Theo, their son Kane, and three rescue dogs Benny, Sasha and Rocco. Together, Meghan and Theo, have dedicated themselves to living the best life possible and are humbled by the positive ripple effect made by the Go Get It LIFE community.